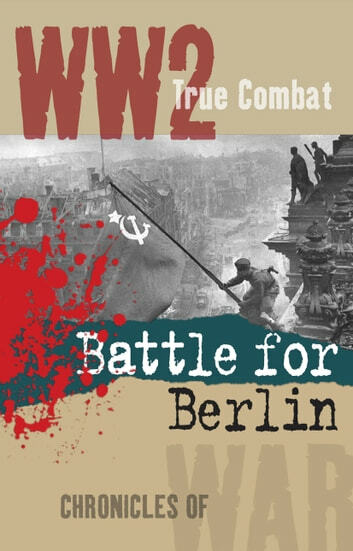 Read about the Race for Berlin between the Allied armies; the Downfall of Berlin and of Hitler; and The Surrender of Berlin and of the Third Reich in this 3 in 1 True Combat Compendium. Three accounts filled with the courage of war, and interwoven with first hand narrative that takes you into the heart of battle. INCLUDED: The Race for Berlin. The Downfall of Berlin. The Surrender of Berlin. The human cost in Berlin alone is almost beyond human comprehension. The fate of Martin Bormann whom I had believed escaped to South America,was he actually killed in action or by his own hand? Methinks the latter, a fitting fate for a coward who's face was rarely seen! Not really a happy ending, look at the world today,when you consider that this was to be the final war,protected by the H bomb We have learned little have we?